Students were apprehensive at first to dissect specimens but their natural curiosity took over as they began to ask one question after another in Level Up Village’s Global Doctors: Anatomy global classroom course at St. Thomas Aquinas Catholic School. 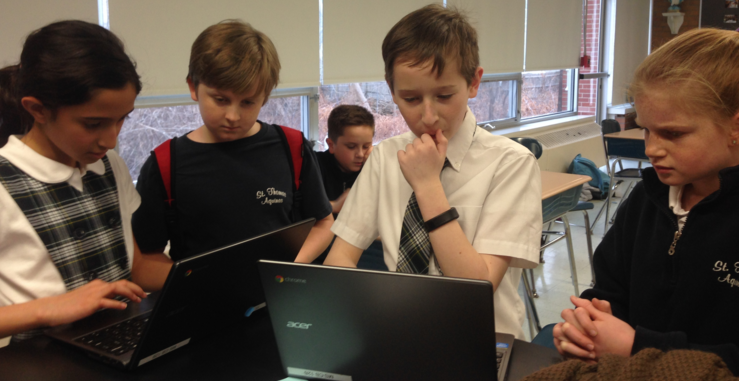 Students recently asked these questions and many more while participating in Global Doctors: Anatomy, a Level Up Village after school course at St. Thomas Aquinas Catholic School in Fairfield, Connecticut. Teacher Nan Van Ryzin explained that children are natural scientists from an early age. 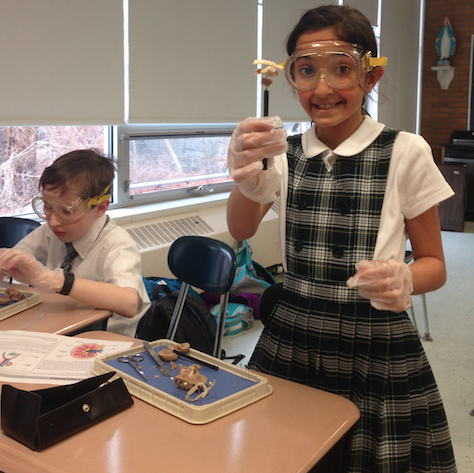 Students at St. Thomas Aquinas Catholic School in Fairfield, Conn., dissect a sheep’s kidney during the after school program in their after school course: Global Doctors: Anatomy in their global classroom. Global Doctors: Anatomy taps into this natural desire to explore and learn. In the course, students dissect and look inside various animal specimens to learn about bodily systems including the circulatory system, the nervous system, the digestive system, and more. Initially the students were somewhat intimidated by the specimens, but not for long. In one dissection, students learned that earthworms play a very important role in the ecosystem and that the entire function of the earthworm is to eat and filter organic substances to create fertilized dirt. In fact, the more earthworms one finds in soil the better the soil is. They were astonished to discover that the intestinal system occupies most of the worm’s body. 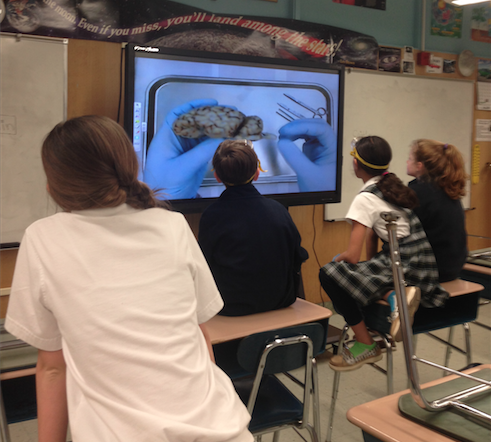 Multimedia is integrated into each Level Up Village lesson with videos such as this one to prepare students for the dissection of the day. These are shared in their global classroom. While dissecting a frog, students were in awe of the upper legs’ muscular system..
“They began to understand how the upper leg muscle is very large and developed for propelling the frog to jump very high and far. They were also very surprised to see the size and color of the muscle,” said Van Ryzin. During class, one student called out, “Some people eat frog’s legs! Students were also fascinated by the fact that the frog’s tongue is attached in the front of the mouth instead of at the back like humans. “The children experimented with manipulating the tongue to see how it goes so far forward out of the mouth to catch insects,” said Van Ryzin. Each class period, students discussed what they learned with global classroom partner students at RIC-NET in Uganda via video message exchange. This cross-cultural connection had a profound impact on students. After each dissection, students shared what they learned with their global classroom partners at RIC-NET, an organization dedicated to empowering students in Uganda. They used Level Up Village’s global communications platform to send and receive video messages. “The students realized that their partners’ lives were very different from their own on many levels. Within the partner country, there are many tribes and many different languages spoken within each tribe. The students correlated this to their own country and imagined what it would be like to travel to New York, where people spoke a different language,” said Van Ryzin. In addition to studying various body systems, students explored a health concern faced by their global partners. In this case, it was malaria. Some of the Ugandan students explained in their videos that they go to the doctor frequently to be checked for the disease. As part of the course, students conducted research on global health issues such as malaria, which affects their global classroom partners’ daily lives. They were sobered by their findings. Her students told their Ugandan partners that in the U.S., one of the most prevalent diseases is heart disease. 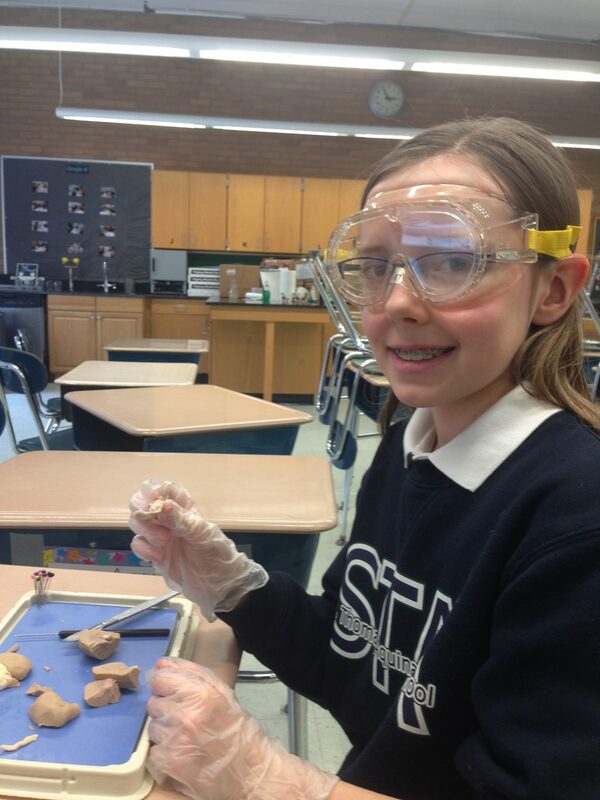 They then they dissected a sheep’s heart and were joined by parent who teaches dissections at Sacred Heart University. Students came back the following week with new insights. Throughout the course, the students developed not only as scientists, but also as global citizens. 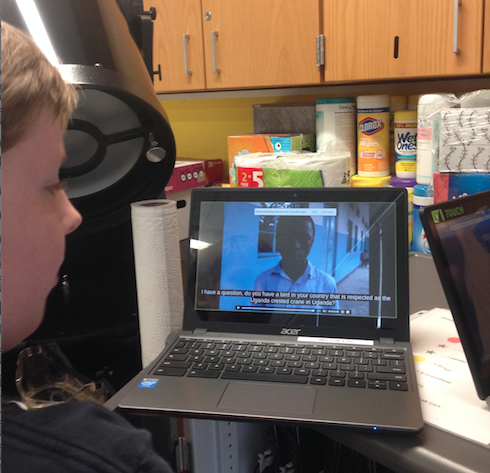 Students record their video messages back to their global classroom partners in Ghana at the end of the class period. 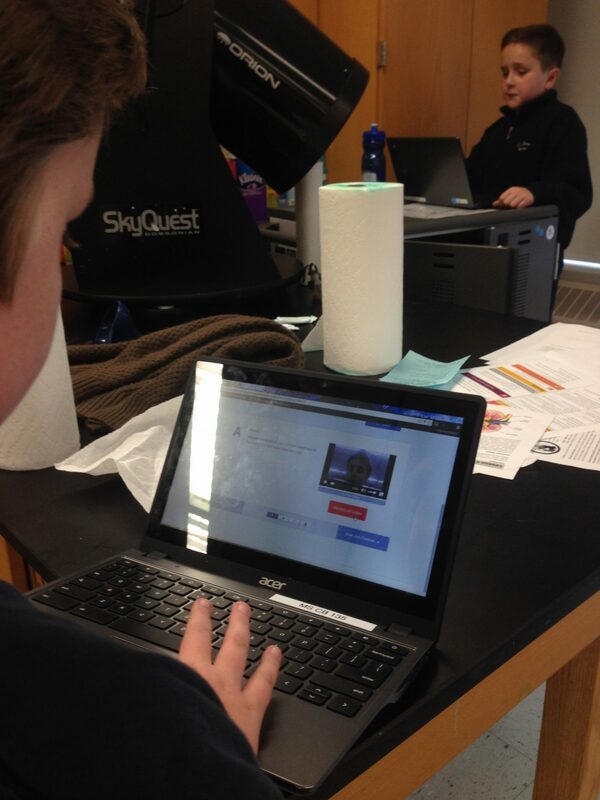 The guided exchange of video messages creates meaningful connections and authentic global learning opportunities for students on both ends of the collaboration.